Check out this new promo! You’re in for an extra special Friday treat today, Mulberrians! 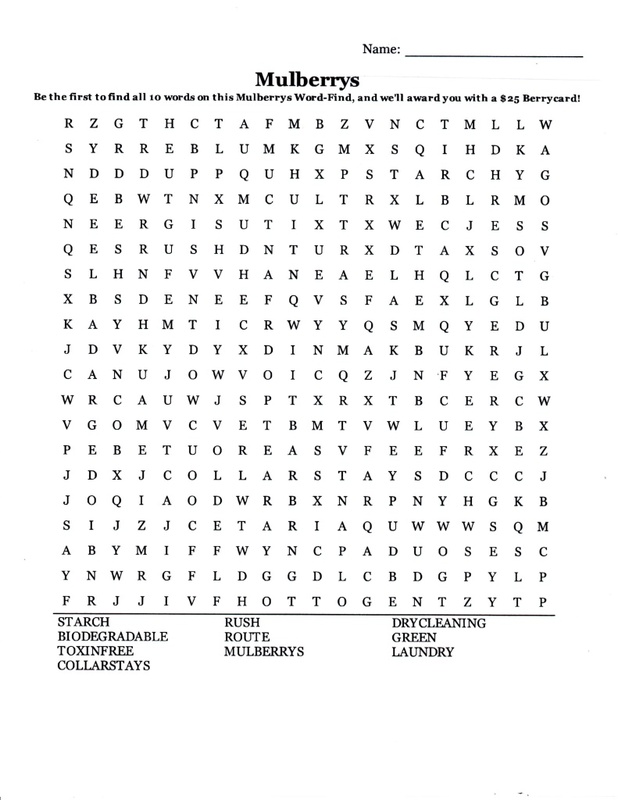 Complete the attached word find puzzle, and send it back to us on our Facebook or Twitter page (via photo comment, inbox message, direct message, @ mention, etc; must be submitted digitally to one of our social media pages). Have a FANTASTIC weekend from all of us on Team Mulberrys!